This is Part 13 of our New York Food Adventures! Check out the rest here! One of our New York food goals was to have bagels. 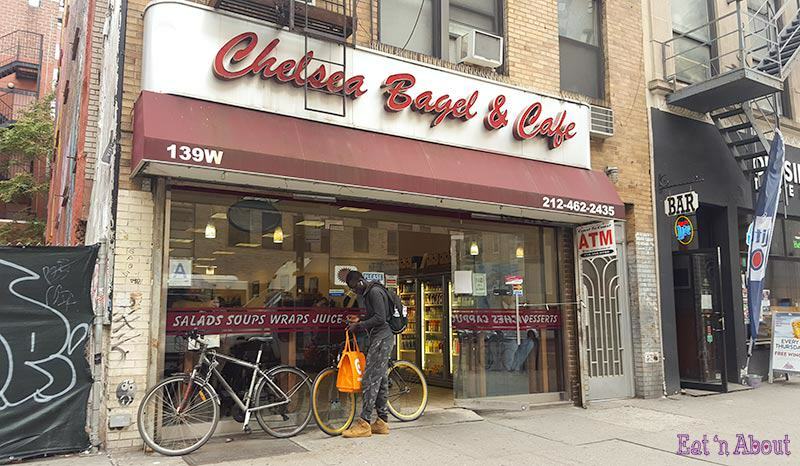 Unfortunately for me, since there was just so much to eat, I was only able to try out one place and that was Chelsea Bagel & Cafe which was around the block to where we stayed. They make their own bagels and cream cheese and there was a lot to choose from. You order from the bagel area in the back and they bring it around to the front when it’s done. 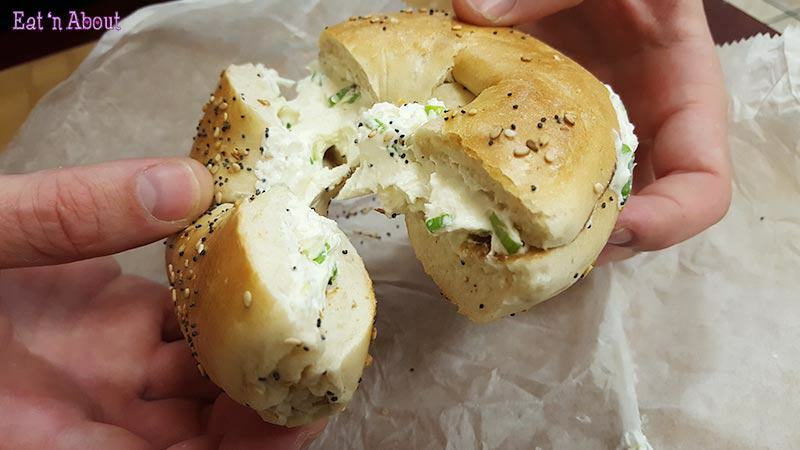 We ordered an Everything bagel with chive cream cheese. It was freshly toasted and spread with cream cheese. I was surprised that “chives” was fresh green onions and not just the small thin chives I thought was gonna be! 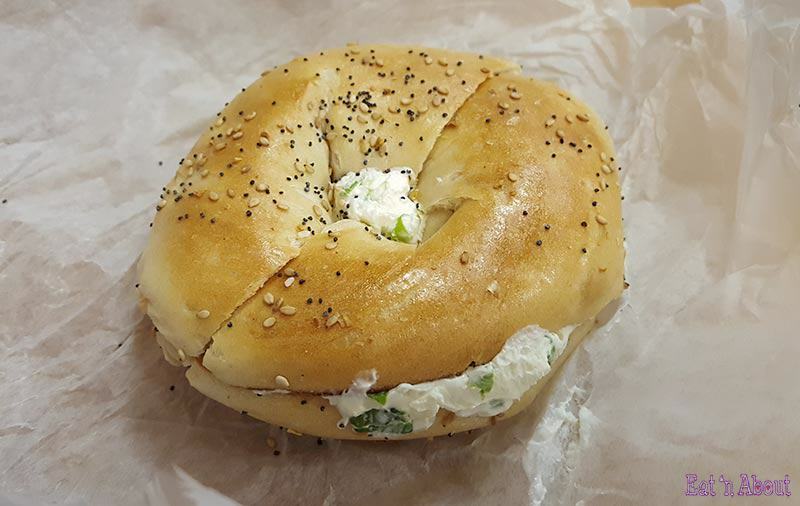 As with what I’ve heard about New York bagels, it was stuffed with cream cheese! The bagel was warm and toasty with a soft crusty outside and chewy inside. 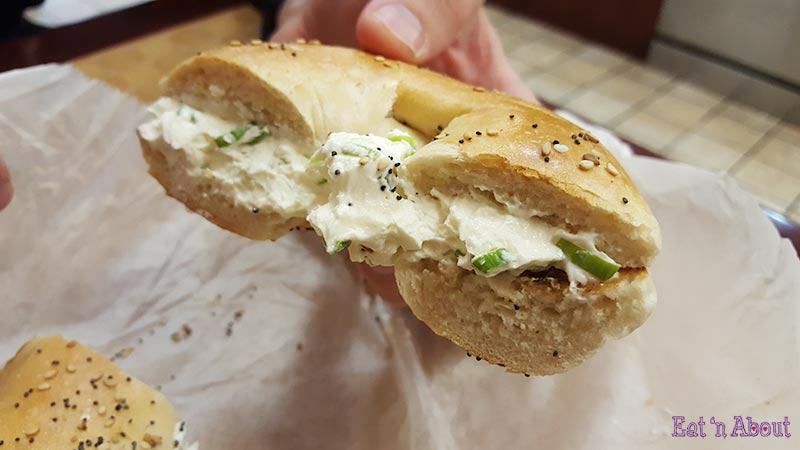 The cream cheese with fresh green onions was so yummy I even thought about making some at home! All in all Chelsea Bagel & Cafe was a great little simple place to grab a bagel. Service was friendly, fast, and no frills! Two thumbs up! Next PostCoquitlam Craft Beer Fest GIVEAWAY! !